We understand the need for real time access to tax advice of regional headquarters in the SEE region and offer a consolidated tax advisory for the entire region. We will give you a single person of contact, the TPA SPOC, who will be responsible for any tax inquiry you have, even if you seek information for the entire region. We assist you in obtaining a consolidated opinion in a convenient way. In today’s dynamic business environment, the ability to adapt quickly is becoming increasingly important. The challenge regional headquarters in SEE are currently facing is that, if they have tax inquiries regarding multiple countries in this region, they have to deal with several local advisors, hence losing valuable time. We understand the need for real time access to tax advice and offer regional headquarters as a unique service. We can give you a single point of contact, the TPA SPOC, for tax advice regarding the SEE region. 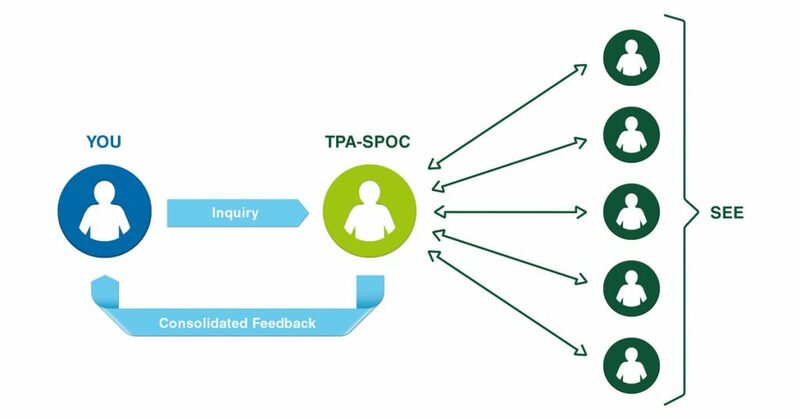 The TPA SPOC is responsible for any tax inquiry you have, even if you are seeking information for the entire region. Our team develops and offers individual, comprehensive, innovative solutions and tailor-made agreements. By simplifying the process and offering you a convenient way to obtain a consolidated opinion, we want to ensure that you are able to focus on your core business and save time and money. Our strength in providing efficient transnational advice in the markets of South Eastern Europe is outstanding and impressive. Thanks to our strong local roots in the countries of South Eastern Europe, we have been able to develop an in-depth understanding of the respective tax-based, and also cultural, peculiarities.